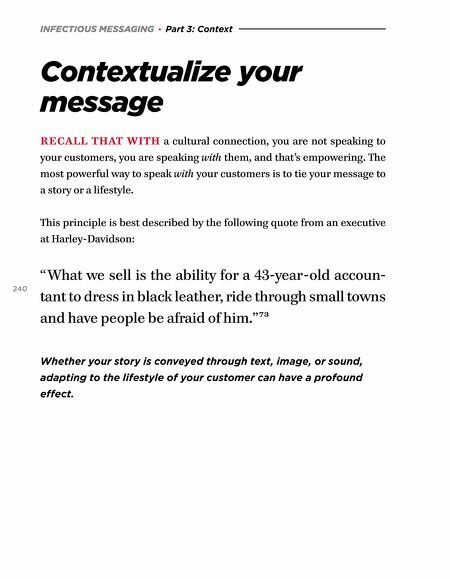 INFECTIOUS MESSAGING · Part 3: Context Contextualize your mes sage RECALL THAT WITH a cultural connection, you are not speaking to your customers, you are speaking with them, and that's empowering. The most powerful way to speak with your customers is to tie your message to a story or a lifestyle. 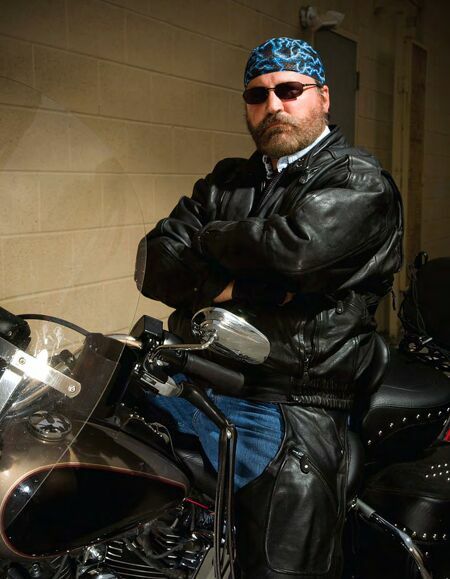 This principle is best described by the following quote from an executive at Harley-Davidson: 240 "What we sell is the ability for a 43-year-old accoun- tant to dress in black leather, ride through small towns and have people be afraid of him." 73 Whether your story is conveyed through text, image, or sound, adapting to the lifestyle of your customer can have a profound effect.